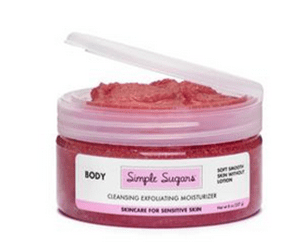 Does Simple Sugars Skin Care Really Work? Although there are all types of skincare products on the market, there are some who want a skincare line that is structured specifically for sensitive skin. This may lead them to look at what Simple Sugars is all about. There are all kinds of potential skin problems that an individual may have to deal with. Many manufacturers of skincare products will develop products that can address as many of these problems as possible. But, many believe that they should look at those that are specifically designed for their specific skin issues. This is Simple Sugars is all about. It for those who have significant sensitive skin. It is all natural skincare line. It is comprised of facial, body and foot products. Simple Sugars has recognized that it is not just women who are in need of skincare products. Also, there are some men who are also dealing with sensitive skin. Although Simple Sugars was developed in 2005, it wasn’t until 2013 when it appeared on Shark Tank and drew the interest of Mark Cuban that it got some notoriety. The hype around Simple Sugars is that not only is it beneficial for those with sensitive skin it helps those who have a variety of other skin conditions. Such as eczema, psoriasis, and eczema. The commitment is the same for every skincare product. It has to be used as directed and on a regular basis. Simple Sugars has a lot of products, and it will be a matter of starting with the ones that are most important for your specific needs. One of the great things about Simple Sugars is that there are a lot of products to enjoy. Often for those with the sensitive skin, they are often limited in choices. Now individuals can enjoy a product like the Simple Sugars that has a whole collection for sensitive skin use. It isn’t just the facial skin that has received attention with this product line. There are some great body products as well as foot care products. Plus, don’t forget there is plenty for the men too. We are going to give the Simple Sugars a thumbs up. We like that it is designed specifically for those with sensitive skin. We are impressed with the pricing. Also, the selection is great. Most importantly is the natural ingredients. Then the entire line was developed by someone who had first-hand knowledge of what it is like to deal with sensitive skin. There are a lot of great benefits to this skincare line. If you are into organic skin care, then you may also want to take a look at Pai Skincare. What do you think? Does Simple Sugars work or not? Does Nails in Motion Really Work?